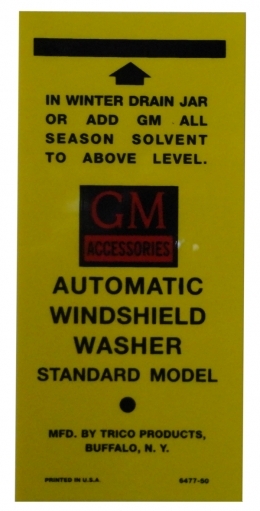 GM windshield washer bottle bracket decal. Replaces original GM part #6477-50. Add that final touch to your restoration. Top quality, licensed GM product. MADE IN THE USA.